Katherine Swynford - sexual temptress or powerful woman at the centre of the medieval court? This book unravels the many myths and legacies of this fascinating woman, to show her in a whole new light. Katherine was sister-in-law to Geoffrey Chaucer and governess to the daughters of Blanche of Lancaster and John of Gaunt. She also became John of Gaunt's mistress - a role that she maintained for 20 years - and had four illegitimate children by him, from one of whom Henry Tudor was descended. In a move surprising in the fourteenth century, John of Gaunt eventually married her, making her Duchess of Lancaster and stepmother to the future king, Henry Bolingbroke. But who was this extremely well-connected woman? 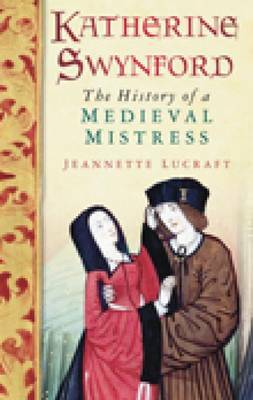 In this fascinating book, Jeanette Lucraft treats Katherine as a missing person and reconstructs her and her times to uncover the mystery of the `other woman' in John of Gaunt's life.